Lizard oxford shoes of Italian origin crafted from the natural animal skin for durability and quality guaranteeing the buyer and the user their value for money. Italian craftsmen employ their skilled labour to put in place artistic quality products that are highly admirable all over across the globe. The lizard shoes come in a range of skins and are readily accessible by those who seek them. The shoes are made in a number of designs, shapes and structures to fit the needs and preferences of the buyer or the user. These quality products are available in a variety of colors and sizes for easy use by people of varied backgrounds. The most dominant color available is black and it seems to be the most preferred. However, other tailor made color are as well available depending with the choice and preference of the user. These shoes are affordably available at our shops and the supply is guaranteed for the orders we get. The reptile / exotic skin and the alligator skin shoes are more preferred because of the tough skin that can withstand tough conditions including heavy rains and dust full seasons. They are crafted in style to fit these conditions. The designers of these shoes are highly qualified people who have vast experience in the shoe industry and craftsmanship. The industries are independent and regulated by high technology and scientifically oriented guidelines that target the high definite quality of the final product. Obtaining these shoes from us gives you an upper hand to be sure of quality products and value for your money. We are trusted stockiest and appointed dealers hence available in our stock is what is only original. No counterfeit. Considering on the other hand, mens crocodile shoes are as well classic and sassy for a modern outfit. Unlike other alligator skins, crocodile shoes from crocodile skin are relatively easy to acquire because of its price compared with other alligator shoes. Acquiring these shoes is acquisition of quality and value for money. Mens Crocodile shoes are as well of high quality and actually highly sought after by those who prefer for crocodiles that may thrive for long. Mens crocodile shoes unlike other shoes are specifically designed for men and as the name suggests they are strictly for men wear. The crocodile shoes include those made from crocodile skin including those with crocodile eyes. These shoes are mostly preferred by the artists and members of the comedy industry. Crocodile shoes are relatively expensive although they are equivalent to the value one spends on the when given the monetary value. Eel skin shoes are available designed for both men and women. 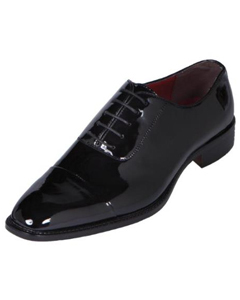 Apart from the Lizard and Crocodile skin shoes are as well available in fashion for mens wear. These shoes can be easily acquired and are relatively cheap selling at prices.